So I’ve got an apple bluetooth keyboard that I’m trying to get set up with the same key mappings as a standard windows keyboard. In particular I want the keys on the bottom row left hand side to be Ctrl - Fn - Cmd - Alt in order (rather than Fn - Ctrl - Alt- Cmd as default on the apple keyboard). I would also prefer to have the Fn keys work as media keys by default and use the Fn key to swap to functions (since this is how my laptops keyboard works and it is least confusing if they are the same). add /etc/modprobe.d/hid_apple_pclayout.conf to FILES="" so that it reads FILES="/etc/modprobe.d/hid_apple_pclayout.conf"
NB. I’d be happy to use some other way of remapping these keys, but it needs to be such that it only remaps them when I’m using the apple bluetooth keyboard and doesn’t change anything for the built in laptop keyboard, or a USB windows keyboard I use at work. In case it matters I’m using a dell XPS 15 and Gnome desktop. @LoganRah do you take a look inside gnome settings for keyboard layout? If there is one for Mac try to add this one, so you will be able to switch easily. I can add an English (Macintosh) option, but it doesn’t change anything after switching to it. I believe that the point of having a Macintosh/Apple keyboard layout is so that Apple keyboards get interpreted as intended by Apple, so that the function is the same as what is printed on them but I do not want that, I want the function of the keys on the Apple keyboard to match their function on a Windows keyboard when mapped by position, instead of as mapped by what is printed on them. This is what hid-apple-patched-git-dkms is supposed to do, but it is only working for Cmd/Super and Alt, and not for Ctrl and Fn keys. 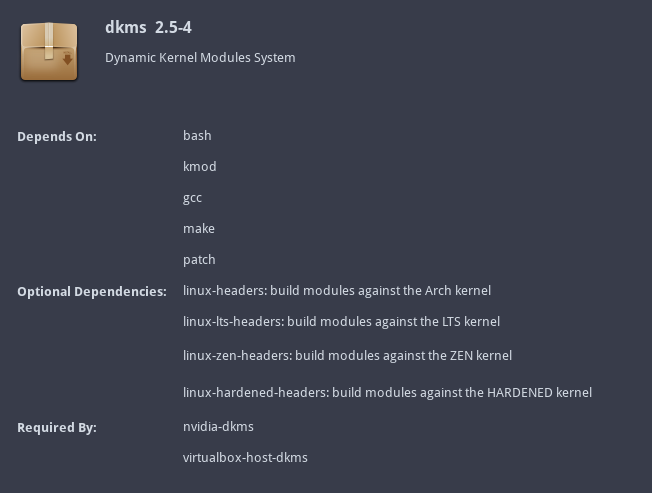 Solved: DKMS was not building the patched module properly because I did not have the headers installed (could have sworn I had installed them previously…) but this was not throwing up an error anywhere. I would have expected that either hid-apple-patched-git-dkms (or the dkms package itself) would have the headers as a dependency, or that mkinitpcio would throw up an error.